I have sold a property at 7716 Golf Course RD in Anglemont. Nicely updated home in Anglemont Estates offers open living space and 2 large decks to take in all that nature offers. Lower level makes a perfect family room and has an office, 3rd bedroom and a fully renovated bath.Access to the lower deck for some R & R .Double garage plus driveway provides ample parking and storage.Property goes from Squilax Anglemont Rd to Golf Course Rd and offers quick access to the marina and golf course. 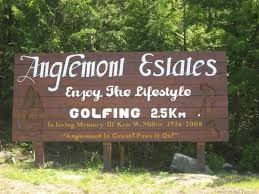 Anglemont is home to 4 season recreation from hiking and biking to boating and snowmobiling. PRICE WILL INCLUDE A 1 YEAR COUPLES MEMBERSHIP TO ANGLEMONT ESTATES. QUICK POSEESION IS AVAILABLE. I have sold a property at 8 3980 Squilax Anglemont RD in Scotch Creek. Fully landscaped lot in Caravans West. Nicely treed with mature cedars for privacy and shade. This property comes complete with a 2006 40' Park Model which shows like new.Nice and open and bright floor plan. Fully finished bunkie is great for kids and guests. Back side of bunkie has built in storage for tools and ladders etc. Unit is ready for a washer and dryer. Caravans West is a gated, year round resort in the heart of Scotch Creek on the North Shuswap. Amenities include pools, hot tubs, clubhouses, playground, pickle ball and tennis courts, fitness center and so much more.Annual dues and property taxes for 2017 were $2850.00. Quick possession is available so call or text Krista 250-517-0974 to arrange a viewing. I have listed a new property at 344 3980 Squilax Anglemont RD in Scotch Creek. Nice inside corner lot in desirable Caravans West. Caravans West is a year round , gated community with a variety of amenities that are sure to please any buyer. 2 pools, 2 hot tubs, 2 clubhouses, playground, spray park,tennis, basketball and pickleball courts. Enjoy gatherings around one of the community fire pits and meet up with old and new friends. I have listed a new property at 4223 Ashe RD in Scotch Creek. LOACTION,LOCATION,LOCATION. This home is just a stones throw from the shores of The Shuswap. Beautifully maintained home boasts pride of ownership. 2 Bed, 2 Bath rancher offers bright and spacious living space. You will be pleasantly surprised by the amazing landscaping. Covered patio area with stamped concrete is low maintenance and sure to please any buyer. Double garage offers a delightful 1 bed, 1 bath suite complete with kitchen, living area and balcony. Call or text Krista 250-517-0974 for additional information. I have listed a new property at 175 3980 Squilax Anglemont RD in Scotch Creek. Custom built park model situated on a desirabel lot which backs onto walking trail and the Provincial Park. No expense was spared when building this one. Washer and Dryer, On Demand hot water, built in vac are a couple of extras. 40 x 65 lot offers morning sun in the back and afternoon sun out front where you will find a beautiful covered deck for your enjoyment. Caravans West is a gated, year round resort wit ammenities like none other in the area. 2 Pools and hot tubs, 2 Clubhouses, Gym, Activity Room, Playground, Spray Park, Tennis, Pickle Ball and Basketball Courts and of course beach access. I have listed a new property at Lot 96 Crowfoot DR in Anglemont. I have listed a new property at Lot 9 Mountain DR in Anglemont. Great value in this .52 acre building lot in Anglemont Estates. Under 30% slope for easy development. Anglemont is home to 4 season recreation with a 9 hole golf course and Marina. No time commitment to build so buy now and plan your future home or recreational cabin get away. Call or text Krista 250-517-0974 for additional information. I have listed a new property at 193 3980 Squilax Anglemont RD in Scotch Creek. Great Lot, Great Location. 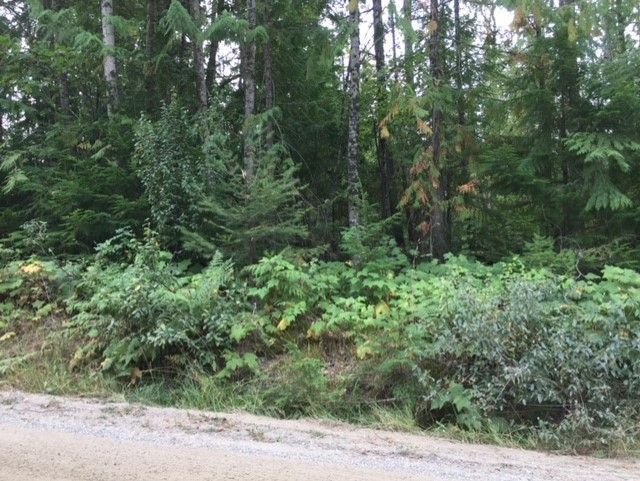 This 39 x 66 lot in Caravans West is nicely situated within the resort and will easily allow for a 45' park model with room to spare. The 8x10 bunkie has been finished and drywalled. Easy access to all of the main amenities including 2 pools and hot tubs, 2 clubhouses ,playground, spray park, tennis and pickleball courts, basketball court,fitness centre and so much more. This lot borders the Provincial Park for added privacy. Caravans West is a year round, gated community, offering a variety of activities for young and old from fire pit sing alongs to ice cream socials and everything in between. Caravans West also has lake access with a nice beach area.Annual dues are approximately $2700.00. I have listed a new property at 76 3980 Squilax Anglemont RD in Scotch Creek. Great Lot, Great Location. This 33 x 65 lot in Caravans West is nicely situated within the resort. Easy access to all of the main amenities including 2 pools and hot tubs, 2 clubhouses ,playground, spray park, tennis and pickleball courts, basketball court,fitness centre and so much more. This lot borders the Provincial Park for added privacy. Caravans West is a year round, gated community, offering a variety of activities for young and old from fire pit sing alongs to ice cream socials and everything in between. Caravans West also has lake access with a nice beach area.Annual dues are approximately $2700.00. I have sold a property at 7596 Mountain DR in Anglemont. I have listed a new property at 5291 Meadow Creek CRES in Celista. Unique offering of a very quaint 2 bed home with detached workshop on 2 separate deeded lots for added privacy.Cozy up to the wood stove on the cooler days and enjoy the nature that surrounds you. Built with the outdoors in mind with a variety of sitting areas. Partial basement is great for a hobby room or just extra storage.This home also allows the use of 1600' of shoreline with boat launch, picnic areas and horseshoe pits for a small annual fee. For more information call or text Krista 250-517-0974. I have listed a new property at 5305 Meadow Creek CRES in Celista. Private unobstructed 180 degree Shuswap Lake view home in Celista. Located in Meadow Creek properties with membership rights to 1600 feet of private lakefront, boat launch, volleyball court & more. Large mint home has open plan, vaulted ceiling, skylights, 2 propane fireplaces, wood fireplace, main floor laundry, built-in vacuum, Jacuzzi en suite, newer metal roof & walk-out completely finished lower floor with 10-ft ceilings, full bathroom, & wet bar for easy suite potential. Schedule A must accompany all offers. Call or text Krista 250-517-0974 for more information. I have sold a property at Lot 352 Castle Heights in Anglemont. Building lot in Anglemont Estates. This lot offers views and southern exposure. Bring your building plans and get ready to enjoy the Shuswap's 4 season recreation. Golfing, boating, quadding, snowmobiling and so much more awaits you here. No time commitment to build so buy now and build later.Seeler also owns 7423 Anglemont Way which is below this property. Call or text Krista 250-517-0974 for more details. I have sold a property at 110 3980 Squilax Anglemont RD in Scotch Creek. I have sold a property at 4429 Squilax Anglemont RD in Scotch Creek. WOW is all you can say. This property offers a very private setting and yet is still close to amenities of Scotch Creek. This property is a gated estate of 5.51 acres and offers vast mountain and lake views that are sure to please. This property has something for everyone and is an entertainers dream. Main home boast a large rec room with full wet bar, media room with large glass screen and a separate room offering a salt water pool and hot tub. The main living space is open and inviting with large deck to take in the views. Detached double garage is perfect for a home based business as it also has an office area with 2 pc bath. Up above you will find a bright and spacious 2 bedroom suite fully self contained with it's own laundry. And that's not all , you also have a large 3 bay garage that is heated and cooled via the geothermal system that services all of the buildings. This is a one of a kind property so if elbow room and views is what you seek, then this one is for you. Can be viewed by appointment only with listing realtor present. Call Krista 250-517-0974 QUICK POSSESSION and Vendor will consider property trades. I have sold a property at 235 3980 Squilax Anglemont RD in Scotch Creek. I have listed a new property at 6 7732 Squilax Anglemont RD in Anglemont. I have sold a property at 373 3980 Squilax Anglemont RD in Scotch Creek. Nicely landscaped 40 x 65 lot in desirable Caravans West. Caravans West is a year round gated RV Resort with a variety of amenities including 2 pools, hot tubs, 2 clubhouses, tennis and pickle ball courts, playground, spray park,horse shoes, volleyball, gym and so much more. Annual dues for 2017 were $2700.00 including property taxes. Call or text Krista 250-517-0974 for more details. I have sold a property at 7261 Estate DR in Anglemont.